Redeem this special for a FREE courtesy inspection on your vehicle! Cannot be combined with any other special. Special must be presented in advance. 5 Star Review by Maria C.
Our technicians have the training and equipment to perform all maintenance and repairs. We use manufacturer approved diagnostic equipment and genuine factory parts. Our goal is to exceed our customers' expectations each time they visit. 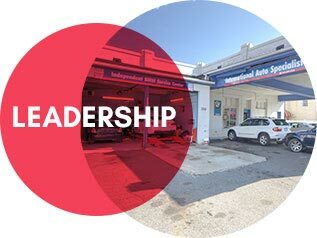 We have been proudly servicing vehicles in the Fredericksburg area since 1984.
International Auto Specialist's Leadership was founded in 1984 and has been dedicated to achieving excellence through the loyal efforts of talented and enthusiastic employees. Our continued success requires fully utilizing the rich backgrounds and abilities of our staff and rewarding their achievements. We embrace change as an opportunity to fulfill our potential. We lead through competence, innovation, teamwork and an eagerness to excel. 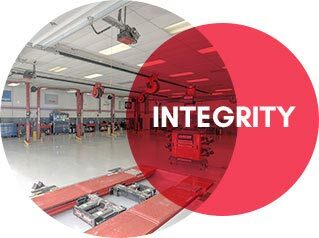 We are committed to maintaining excellence, respect, and integrity in all aspects of our operations and business conduct. We strive to reflect the highest ethical standards in our relationships with customers. Our friendly, knowledgeable and professional staff will help inspire, educate and problem-solve for our customers. Our vision is to realize the tremendous potential of International Auto Specialist by providing services that consistently exceed our customer's expectations. We value our customers, whether they are individuals or other businesses. We believe in respecting our customers, appreciating their requirements, understanding their expectations, and satisfying them with distinction. We know how important your vehicle is to you and how important it is to keep it running in top shape all year round. 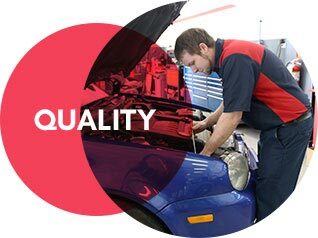 That is why our Service Department, consisting of our friendly and helpful Service Advisor, our highly qualified and trained service technicians, including many ASE certified technicians, our fully stocked Parts Department and our state-of-the-art service facility, are available to you during our convenient business hours. We offer a comfortable waiting area and a 24/7 Early Bird / Late Night drop off box (so you can safely leave your vehicle and keys at the service center during non-business hours). You are also welcome to Schedule Your Service Appointment Online just by clicking on the Schedule Service link. Simply fill out the Form, click Submit and you're all set! It's that easy. International Auto Specialist provides a reliable alternative to dealer service for BMW, Mini Cooper, Audi, Mercedes Benz and Volkswagen, whether your automobile is fresh out of the showroom or has logged thousands of pleasurable miles. LocationInternational Auto SpecialistInternational Auto Specialist - Princess Anne St.